HMRC introduced Dynamic coding on 2nd July this year as part of making tax digital (MTD). The idea is HMRC uses third party information more efficiently, such as bank interest and RTI submissions from payroll data. RTI information has been supplied to HMRC for a number of years but it has not been used up until this point to alter coding notices. The concept is that taxpayers should pay the correct amount of tax each year by adjusting their codes as necessary to deal with underpayments or overpayments in the current year. It means taxpayers who have overpaid tax won’t have to wait until the end of the tax year to claim a refund. The idea being that less P800’s are issued at the end of the tax year as your tax should already be correct. Unfortunately this will mean that other taxpayers will pay tax quicker and at times significantly more tax will be paid rather than it being coded over the following year. HMRC will attempt to recover all of the tax due by the end of the current tax year. An example of this is when a medical benefit is reported to HMRC, it would normally be coded from the point of notification to HMRC. From 31st May, HMRC will try to recover all the tax due on a benefit from the point they are notified until the end of the tax year. Underpayments for 2016/17 will be collected by being included in tax codes immediately, rather than from the start of 2018/19. This will mean some taxpayers will have double tax to pay as 2015/16 underpayments are already included in tax codes for 2017/18. These changes will mean that more tax codes are issued each year to continuously try and ensure that the tax paid each year is correct. HMRC has assured employers that no more than one tax code change will be issued per month per employee. As per the current system only the taxpayer will receive the breakdown of their tax code. It is recommended that taxpayers set up a personal tax account using the government gateway to monitor their tax codes. This gives taxpayers the opportunity to immediately check and query any codes issued, as well as checking income amounts reported by third parties. Most of us have now heard of or been involved with auto enrolment. This is the new government initiative to help everyone save for their retirement. On your staging date it is mandatory for all eligible workers to be enrolled on to a work place pension scheme where both the employer and the employee must contribute. Auto enrolment is a phased process with the last remaining employers rolling into the scheme in February 2018. If you are a new employer on or after 1st October 2017 you will immediately have legal duties for auto enrolment for any eligible workers. As auto enrolment is mandatory there are various discretionary powers that the pensions regulator has at his disposal to ensure that employers comply. They are even able to take criminal proceedings against employers that are wilfully non compliant! The regulator is in the first instance likely to issue a statutory notice to an employer if they have breached their duties and action is needed to remedy the breach. This may result in the employer paying both the employees and the employer’s contributions or interest charges if contributions have been incorrectly deducted or not deducted at all. The next step would be a fixed penalty notice if the employer had failed to comply with the statutory notice or they have contravened the pensions act section with an offence that is punishable with a fixed penalty notice. The fixed penalty is £400 and it must be paid within a specified time period. If the statutory notice and the fixed penalty notice have not worked, the regulator can issue an escalating penalty notice. The fines are escalated daily based on the number of employees and they are eye watering as you can tell from the table below! Please make sure that you comply with all of the auto enrolment legislation. 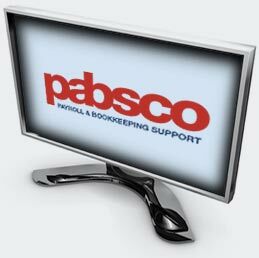 To avoid expensive mistakes Pabsco are happy to help with your auto enrolment payroll requirements.